Select your plan below. The longer the plan, the more you save! Pay per-month to receive the latest Vinyl Moon volume at your doorstep, plus receive member pricing in our store. Our most popular plan - save $$$ by paying for 3 months upfront! 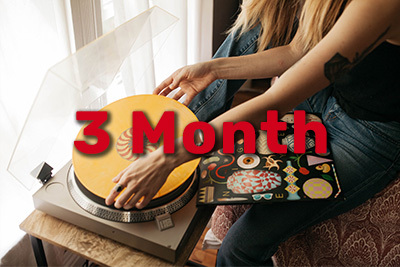 Receive the latest Vinyl Moon volumes at your doorstep, plus member pricing in our store. Our best value - save $$$ by paying for a year's membership upfront! Receive the latest Vinyl Moon volumes at your doorstep, plus member pricing in our store.